in the same subphylum Gnathostomata. 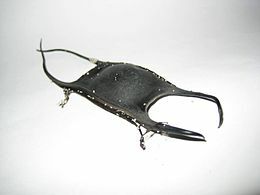 Rays and skates belong to the group of fish known as elasmobranchs, along with sharks. These animals are grouped together since they have a cartilaginous skeleton (the stuff that’s in your nose and ears) and five or more gills slits. In comparison, fish have a bony skeleton and only one gill slit. They have bony plates instead of teeth that they use to crush up food they find on the bottom of the ocean. People who have been bitten by a ray compare it to having your finger slammed in a car door! young, whereas shakes give birth to egg pouches, more commonly known as mermaid purses. 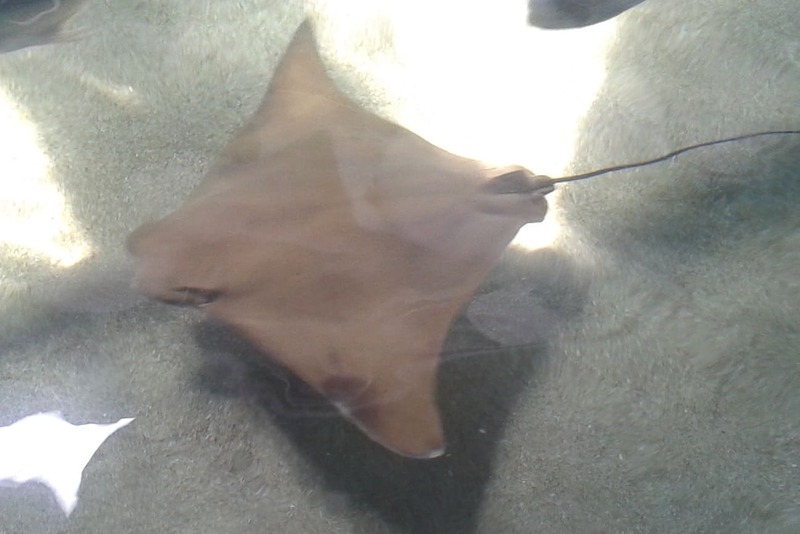 Rays also have poisonous spines located at the base or very end of their tail. These barbs contain a neurotoxin that is used for defense, not hunting. If you were to accidentally step on a ray and get stung by the barb, seek medical attention IMMEDIATELY. While on route to medical care, soak the wound in the hottest water you can stand and DO NOT attempt to remove the barb. Most barbs have serrated edges pointing in the opposite direction, making it impossible to pull the barb backwards. To avoid getting barbed, shuffle your feet along the sea floor when walking in the ocean. The turbulence will give stingrays a warning and they can get out of the way. There are also some electric rays that are dangerous to humans. They dispense an electrical charge as a defensive mechanism, but have not caused any human fatalities. Many aquariums trim the barbs on their stingrays to protect their staff. However, like your fingernails, the barb will grow back and needs to be trimmed repeatedly. 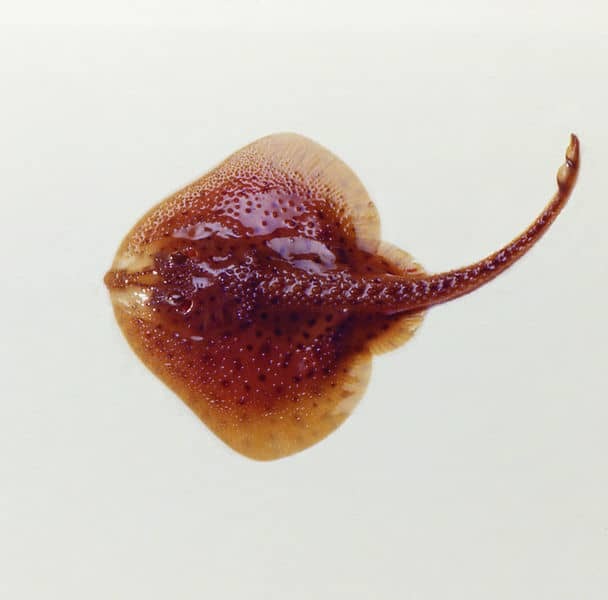 Skates and rays can be kept in home aquariums. They may start out small, but will grow. If you want to keep one in your tank at home, make sure you have enough sandy, exposed substrate to let them lie comfortably. If your animal gets too big for your tank, contact your local pet store or aquarium. DO NOT throw them in the ocean!